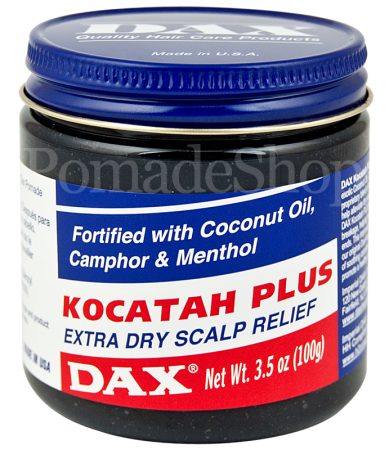 Product information "DAX Kocatah Plus"
A miracle cure for itchy or dry scalp and dandruff. 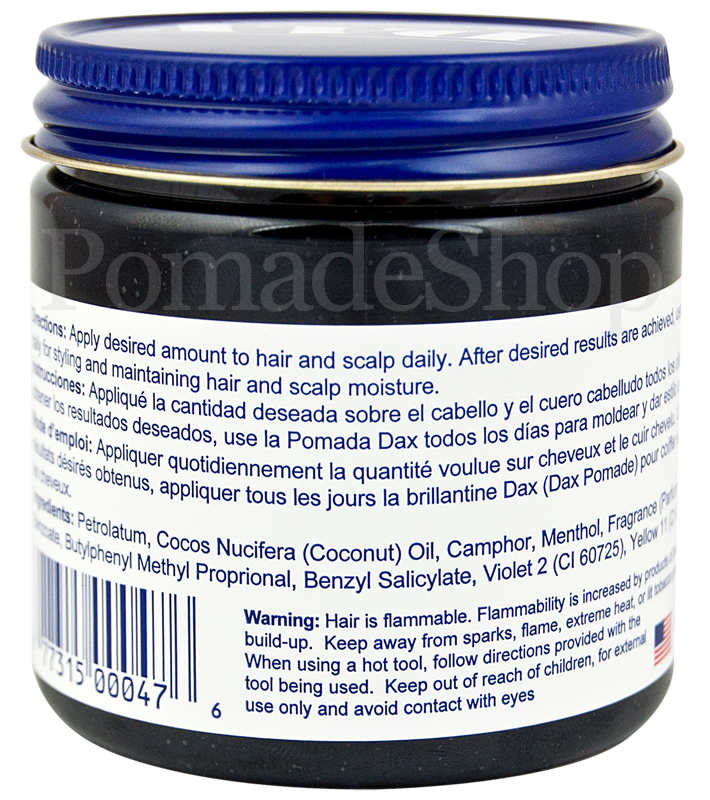 Care pomade with coconut and tar oil, a miracle cure for itchy, dry or even flaky scalp. 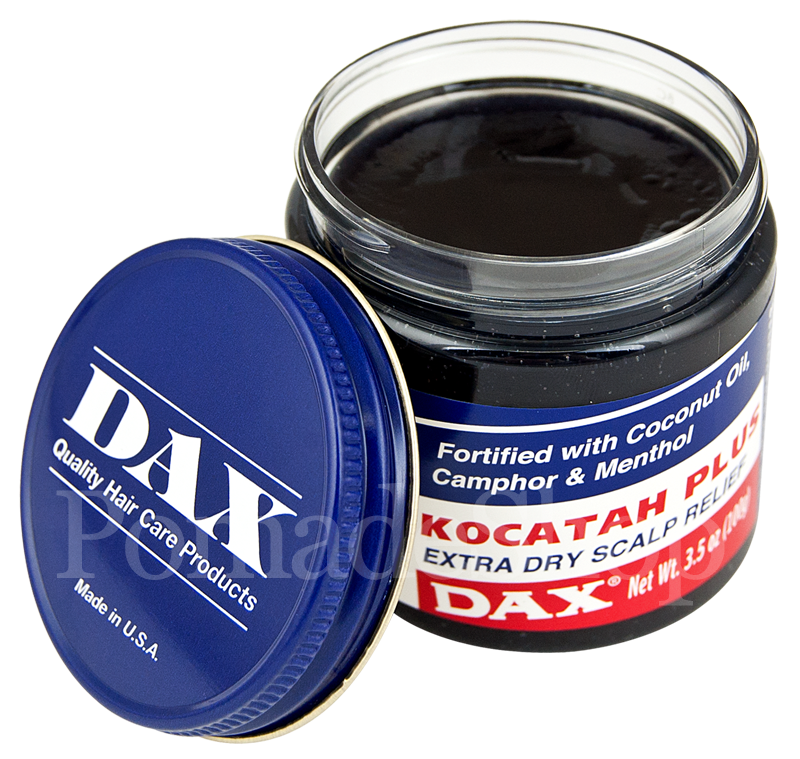 DAX Kocatah Plus is a very soft care and styling pomade, pitch black in the tin darkens the hair a little bit like the DAX Black Beeswax. Coconut and tar oils not only help to eliminate itchy, dry or even flaky scalp but also help with split ends and hair breakage. The scent is very special, the hair smell after use as if you had spent several hours on the smoker, smoky, after BBQ. 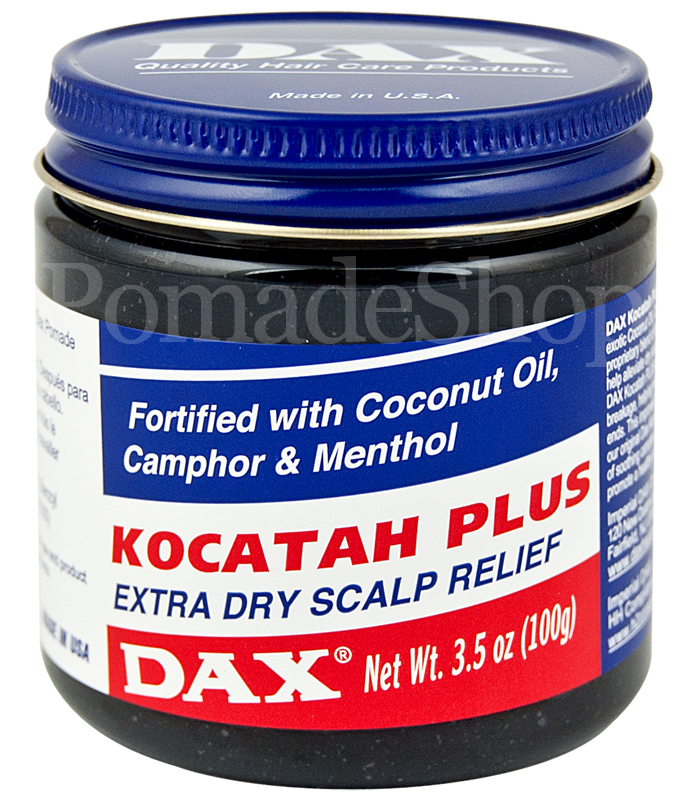 links to "DAX Kocatah Plus"
customer reviews on "DAX Kocatah Plus"